This entry was posted in Sell Stuff For Cash and tagged college students, diy, make money, make money at home, thrifty on August 26, 2015 by Jim McKenzie Smith. Attention, graduate students: there are easy money making opportunities waiting for you online. And you can start making that extra cash today. Over the years at Cash4Books.net, we’ve utilized our fair share of online services. We have used these services to get content for our marketing efforts, and also sell some of our extra inventory. Businesses are always looking for great content. And as a grad student, you have plenty of expertise in your chosen field to help these companies out. Start putting your knowledge to use and get paid! 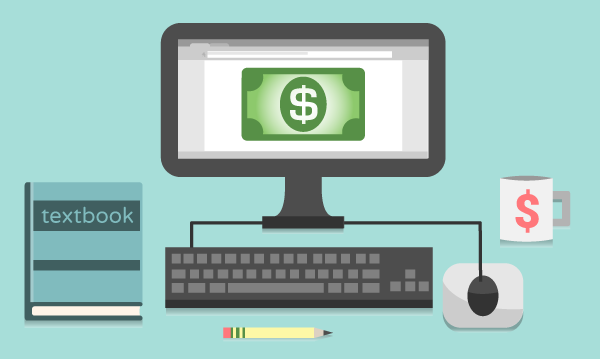 Our goal is to make all things as easy as possible, so here are five easy ways graduate students can start making money online today. Are you a great writer and have expert knowledge in your field? Then you are a perfect fit to use Textbroker. All you have to do is set up a free writer’s account, and check off your areas of expertise. From there, you’ll be able to pick and choose from thousands of daily writing jobs. We’ve used their service in the past to get articles for this blog, and found the process to be easy and pain-free. I’m probably beating a dead horse here, but you can sell stuff for money on eBay. Got an old collection of Beanie Babies from when you were a kid? Maybe some unopened Teenage Mutant Ninja Turtles action figures? Well, just do an easy search on their site and see if they are worth any money. 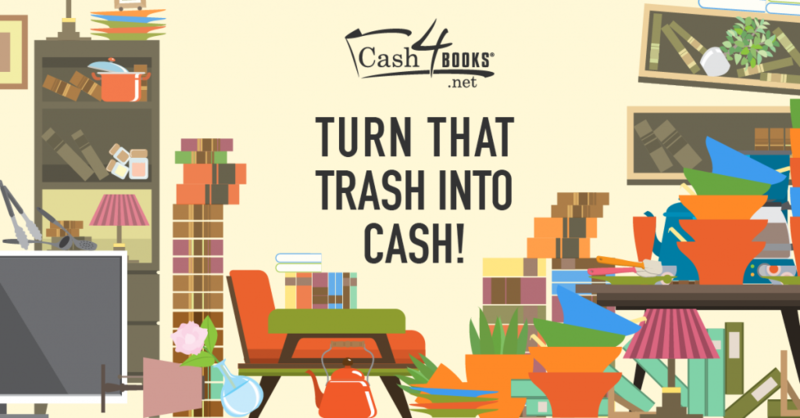 Want a pro tip from Cash4Books? Scout for desirable products on eBay, and then search for them on craigslist or other local sites. Often times you’ll find the product for cheap, and then you can flip it on eBay for more cash. Fiverr is a super simple concept: users post things they will do for $5. Some are practical, such an SEO audit for your website or an animated explainer video. Then there are some that are just plain awesome! Such as recording a personalized rap music video done entirely with puppets. While everything starts at $5, you can add gig extras at your discretion to increase your pay. 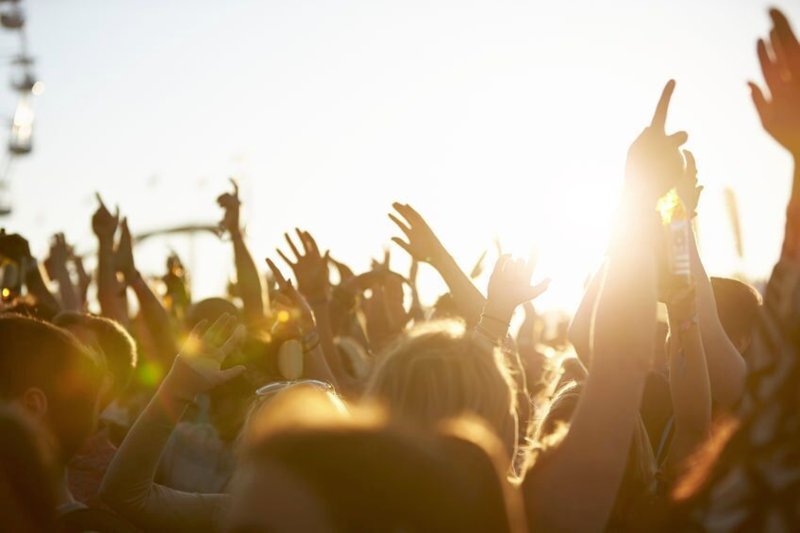 Such as offering the video in full HD, or promising a quicker turnaround. That’s how you can earn the most cash: entice them in with the $5 offer, and then make the gig extras so good, they have to add them on. Creating a blog is so easy, my cat can do it (although I do have help her with the typing). But seriously, you can launch a blog in the next 15 minutes. We like WordPress, but you could also use tumblr, Blogger, or any platform you wish. All you have to do is share interesting opinions or expertise on your given field, and you’ll gather a following in no time. Want to jumpstart your blog readers? When you write a new article, share it on Facebook and Twitter. With readers, comes the rewards. Set up your blog with Google AdSense and start getting paid for your content. You can also take advantage of affiliate programs for companies you think will resonate with your readers. You’ll get paid for sending customers to their websites. Blogs are fun because you get to share your thoughts on a field you are passionate about, and you can get paid at the same time. This one is a gimme: you’ve got textbooks, we’ve got cash for you. 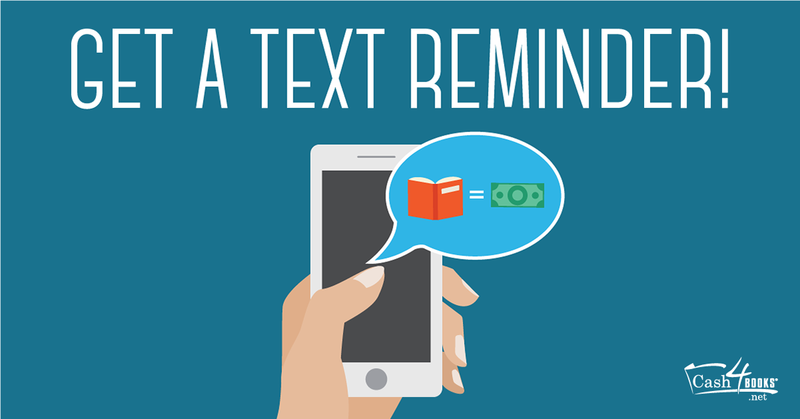 Clear some space and get paid cash for those textbooks you’ll never open again. Cash4Books.net is easy to use. We offer instant price quotes, free shipping, and fast payments. On average, we pay our customers within 13 days of shipping their books to us. We’re also nice, friendly, & fun: our customers have given us a 5 star rating on TrustPilot. Sell your textbooks for cash today! This entry was posted in College Students, Making Extra Money, Sell Stuff For Cash on May 6, 2014 by Jim McKenzie Smith. 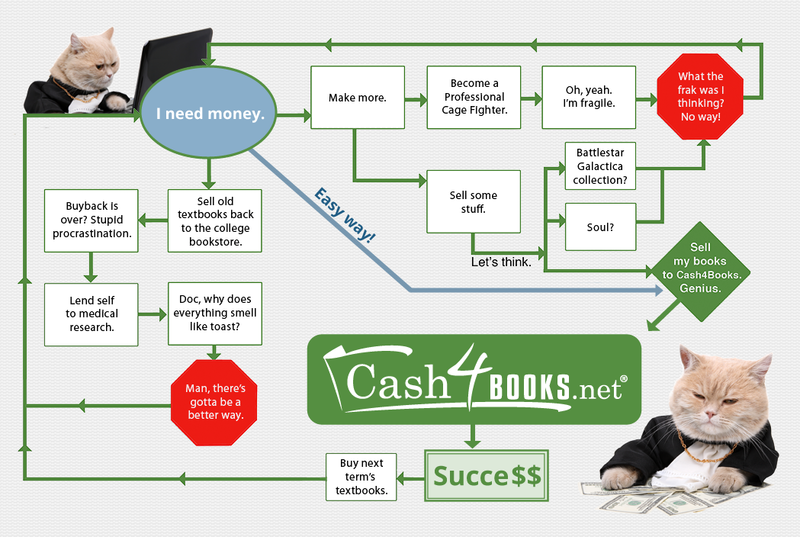 Follow our cat friendly flow chart and find out how to make money online by selling textbooks the easy way. As you can see, Cash4Books saves you time and pain! Our easy to use website gives you instant prices quotes, FREE shipping, and fast payments. Sell your textbooks the easy way today at Cash4Books.net. This entry was posted in College Parents, College Students, Making Extra Money, Sell Stuff For Cash, Textbooks on March 21, 2014 by Jim McKenzie Smith.